Criticism of Andray Blatche has been unabashed, perhaps filled with too much vitriol at times, and I’m including myself in this pack, obviously. That being said, it’s human nature to feel sorry for the guy, sometimes. 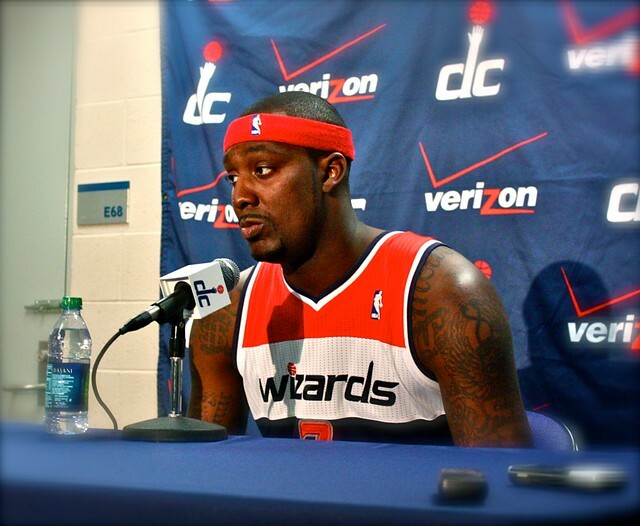 One of the first things I realized upon starting to cover the Wizards with media credentials prior to the 2009-10 season was that Blatche — the way he carried himself, interacted with the media, his general goofiness with teammates in the locker room — is not a bad guy. Certainly no one would confuse himself with notorious a-holes like Rasheed Wallace or Bonzi Wells. But in most senses, Blatche the basketball player — the guy who has trouble staying focused on the little things, rebounding with toughness, not emitting laziness, playing with heart — has justifiably brought all the criticism upon Blatche the person. He suffers, personally, yet he still hosts parties and invites more critique. Awareness of public perception, much less ideals of being a good, lead-by-example teammate on the floor, are lost upon Blatche in major ways. We are approaching “it is what it is” purgatory with Andray, in that he’ll never fully realize even mere fractions of his talent. “It is unclear whether the team will decide to move Andray Blatche, who despite the tough season is a very talented player. However, having talent isn’t enough,” wrote Blatche’s former teammate Etan Thomas in a special piece for ESPN.com today; the Poet was encouraging Wizards fans to have hope. After tonight’s contest versus the Miami Heat, Blatche will have missed the Wizards’ last 22 games — one-third of this lockout-shortened season — due to “conditioning.” This could be the last game that he is officially on the roster of the Washington Wizards. It’s a sad situation that likely not many have seen before. It is what it is. Prior to the game, Blatche spoke with the media on a variety of subjects. That video is below.